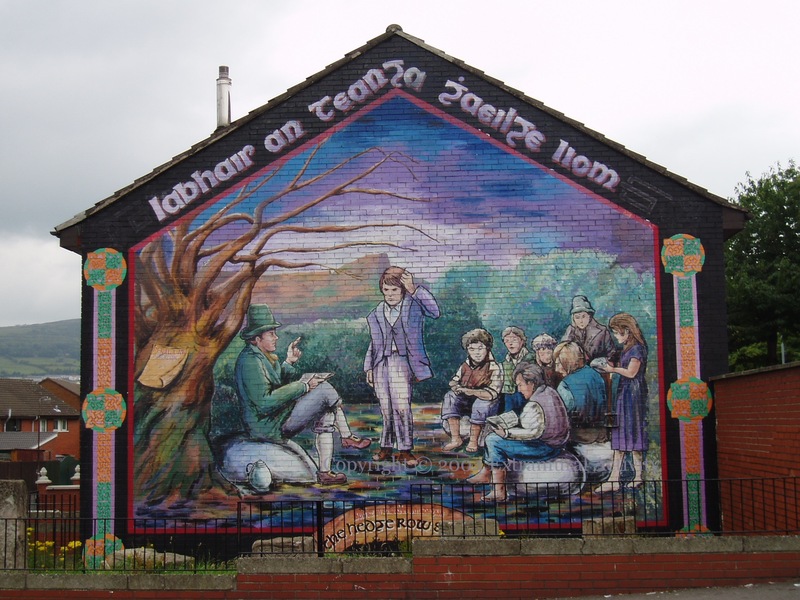 Ardoyne mural commemorating hedge row schools at the time of the penal laws (WP) (see the notice on the tree at left). See also the Mass Rock and Cromwell murals. Thank you for your excellent photo of a beautiful mural. As a teacher and a child and grandchild of teachers it has always been dear to my heart.